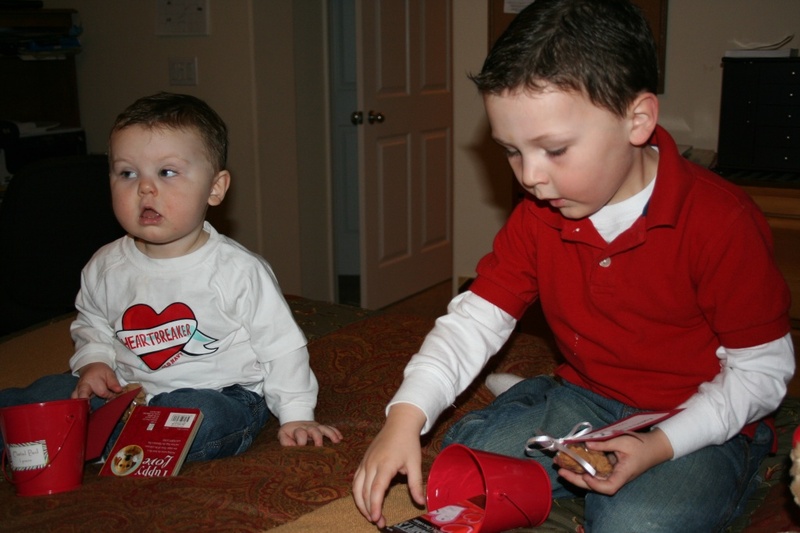 One of our Valentine's Day traditions is to send the boys on a treasure hunt on Valentine's Day, and at the end they find a small gift and treat. The clues have a "love" theme, such as "Look in the place where you love to take bubble baths" or "Look in the chair where you love to read books." My kids think treasure hunts are pretty much the best thing ever, so I try to incorporate them into almost every holiday. 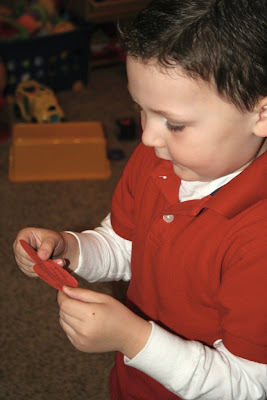 :) This is A reading a clue 2 years ago - he enjoyed it so much, he had us re-hide the clues over and over again ... I think we did it 5 or 6 times. K and A digging into their treat buckets. Look how little K was!